The Magna Carta is the basis for the constitutions of Great Britain and the United States and a host of other countries. It is heralded as the seminal document that set into motion how we think about the rights of citizens in a free and open society. It is the document, a peace treaty really, that attempted to wrest power from a tyrannical king and dispersed power among a ruling elite who could overturn his decisions. It is seen to have formed a shadow parliament of sorts that had an actual say in governance. On June 15, 1215 in the meadow of Runnymede, along the banks of the river Thames, the much-loathed King John was forced to sign the Magna Carta. He did not like it, and he did not intend to honor it. The treaty was legally valid for slightly more than two months, John having immediately petitioned the Pope to have it declared null and void. It basis lay in grievances that the barons, aligned with the Church, brought against King John seeking redress for his unscrupulous rule. Of course, most of these demands benefitted only the barons and applied only to free men who represented less than 20% of the adult population of England at the time. Over the next 75 years additional versions were issued and agreed to. Of the 63 clauses agreed to in 1215, only three or four remain in the laws of England today! Jones describes the Magna Carta as “a muddle” that features “arcane thirteenth-century legal principle,” such has regulation of fish traps. It is “dry, technical, difficult to decipher, and constitutionally obsolete” in part because meanings of words have changed and feudal society no longer exists. Yet, as one scholar has noted, only the Bible is quoted more often in constitutional debates. 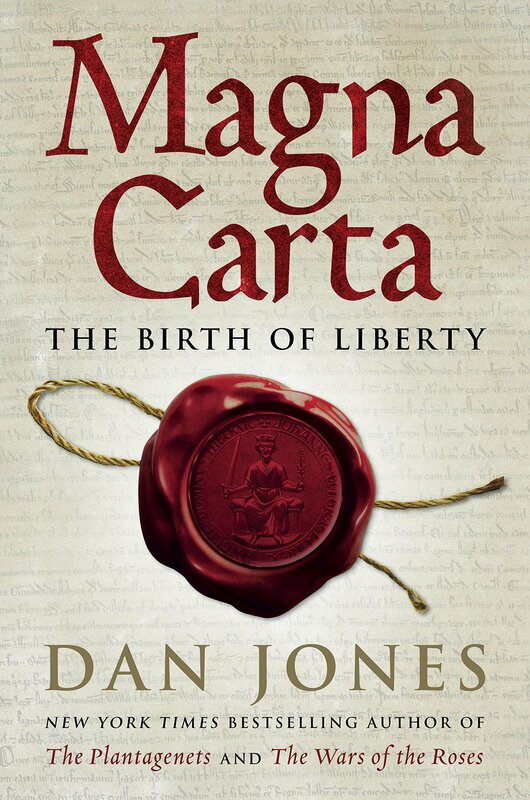 Magna Carta is a thoroughly researched book and one, in this case, that is remarkably readable and accessible to scholars and readers with a general interest in history. Notes and an index complete the book; however, it is the three appendices that are the icing on the cake. Appendix A is the text of the Magna Carta of 1215, complete with its archaic terms (socage, burgage, novel disseisin), the demands, and a list of the barons and church officials with whom King John was supposed to agree. Appendix B provides succinct biographies of the men who were appointed to enforce the agreement. These included Robert de Vere, Earl of Oxford, and the “Mayor of London,” Serlo the Mercer. The final appendix is a timeline. It begins in 1100 when King Henry I granted a charter of liberties, including freedom for the Church, and continues to today, the 800th anniversary. The Magna Carta was printed for the first time in 1508 and came to the American colonies in 1687. In 2007, a copy of the 1297 version was bought for $21.3 million. Jones proves once again why his histories have been bestsellers. He writes dramatic narratives without sacrificing historical accuracy. 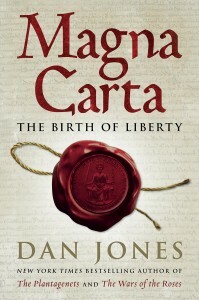 Magna Carta is entertaining, interesting, and informative, a delight to read and re-read. It should be required reading for any serious student embarking on a study of how the U.S. Constitution came to be.